On this week’s episode I chat with Amy Everhart, coach and mentor for women who are wanting to change the world! This episode is really special to me because Amy was actually one of my coaching clients not too long ago so I am excited for her to share her journey and purpose with all of you! 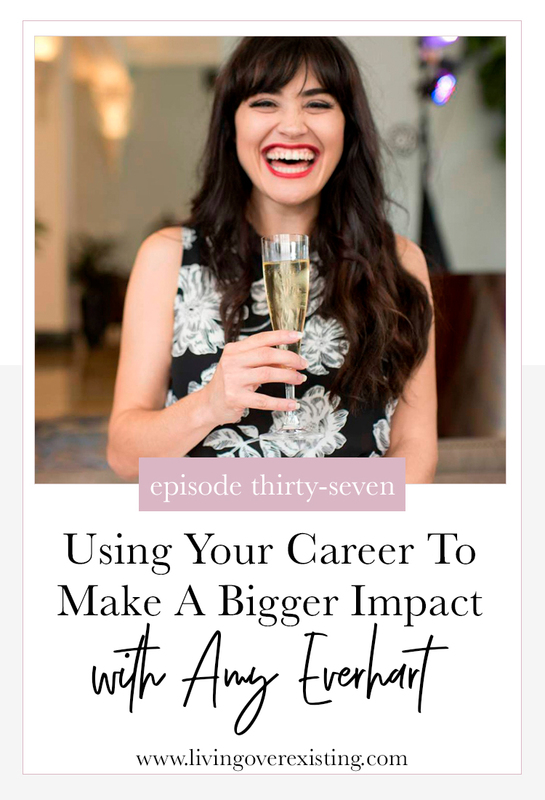 In this episode we chat about her journey into coaching and how she was inspired to do something bigger that impacted others after going through Hurricane Katrina as a teenager, why women should dig into careers that serve a bigger purpose and so much more!